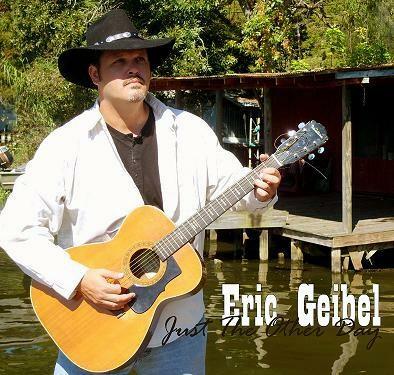 Eric Geibel has been writing country and southern rock music about the people he has met and events he has experienced throughout his life, and in particular for the past 15 years. His music reflects much of the attitude and emotions that have impacted his life. Eric is living his music experiences one song at a time, just like he lived his life, one place at a time. Born in Montrose, Scotland, to Southern reared parents, he was literally raised around the world while his father pursued a career in the U.S. Navy Civil Engineer Corps and Navy Seabees. His mother taught school around the world as she followed his father from place to place. Eric Geibel moved to a different place about every two years until after his college days. As a child, he lived in Scotland, where he resided in the 12th century Kinnard Castle by Brechin and then in a small bungalow on the North Sea in Montrose. He later lived abroad in Japan, Saudi Arabia, Belgium and Guam. In the United States he has lived in Charleston, SC, Monterey, CA, Gulfport, MS, Annandale, VA, Mobile and Birmingham, AL, Marietta and Woodstock, GA and for the past 10 years in and around Morgan City, LA. He now lives in Berwick, Louisiana, to be with his son Gage. During his worldly travels and constant moves with his parents, he had a chance to visit over 39 countries around the world, including: Denmark, Sweden and Norway, in Scandinavia; England, Scotland, and Wales in Great Britain; France, Germany, the Netherlands, Luxemburg, Austria, Switzerland, Spain, Portugal, Lichtenstein, Italy and Greece in Europe; Morocco, Egypt and Kenya in Africa; Saudi Arabia and Jordan in the Middle East; Mexico and Canada, in North America; and Guam, Tinian, Japan, Hong Kong, and Thailand in the Far East and Asia. During his worldly travels, he learned to appreciate the customs of the local people and their rich history. His life’s experiences, especially along the Gulf Coast, would later lead to him expressing himself in the common language he heard around the world, music. To him, music transcends all languages, boundaries and barriers that anyone can basically understand. He is at ease in the foreign arena and can bridge the language gap through his gentle and often soft-spoken music. But, he remains a “good ole country boy”, and his heart lies in writing and singing country music that is so popular around the world. Since he was born and raised on southern rock ‘n roll and country music – both of his parents were raised in the South – he combines the sounds of Nashville and Louisiana with contemporary southern rock melded with his worldly life’s experience making him a unique artist on the country scene. 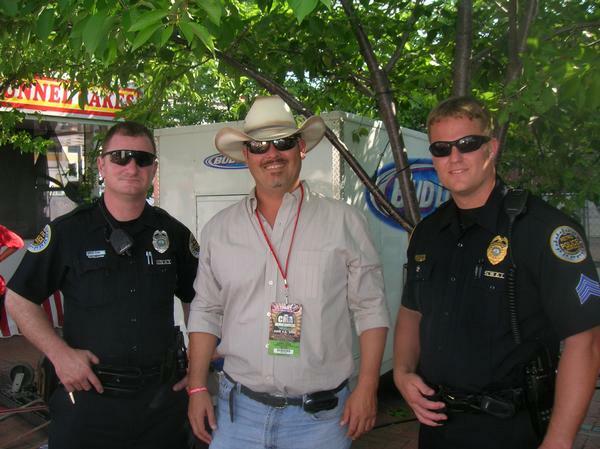 Some music influences in Geibel’s life include, Kenny Rogers, Garth Brooks, Stevie Ray Vaugn, Eric Clapton, Keith Urban, Tracy Byrd and Tim McGraw. Eric Geibel plays rhythm guitar and piano which he plays mostly by ear. It is a trait he picked up from generations of musicians on both sides of his parent’s families. He wrote or co-wrote all of his songs on his MySpace.com site and plans on releasing a full album CD after the first of the year. In preparation of his songs, he has had the opportunity to work with and was heavily influenced by several of his friends, including Hal Bruni, Wayne Mills, Brian Francais Baudoin, Darren Vicnair and Ronnie Sanders. "I greatly appreciate all of the encouragement of my friends," Geibel said. "They have never allowed me to lose site of my dream." 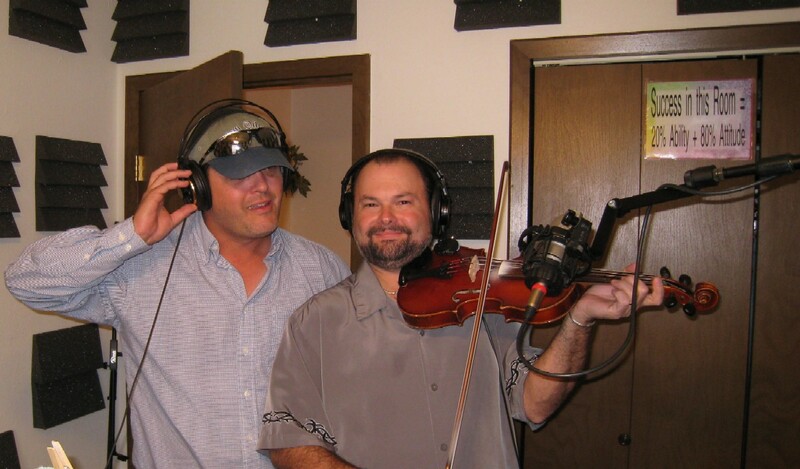 After years of preparing, Geibel has finally been able to record his music with Digital Sac-a-lait Productions in Houma, Louisiana with Pershing Wells. 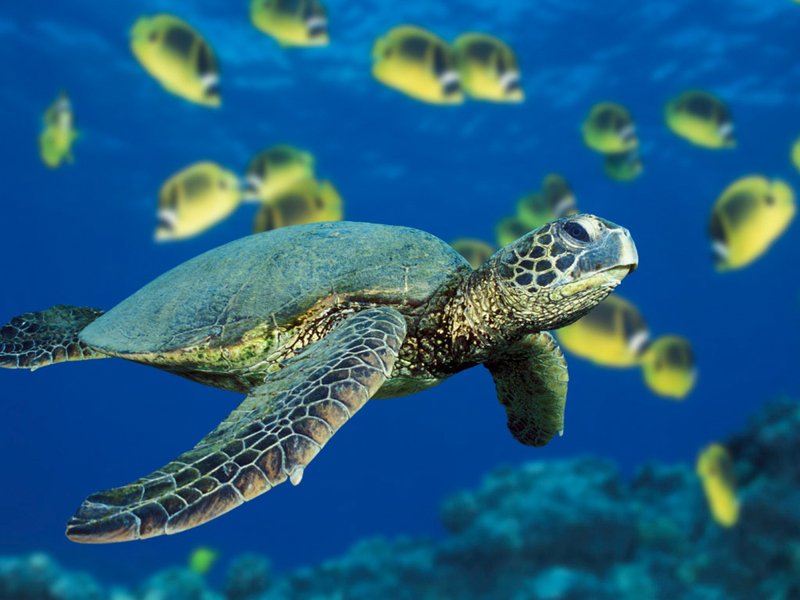 Geibel has been working offshore in the oilfields off of the Gulf of Mexico as an Remote Operated Vehicle (ROV) pilot. He is currently working on a set of music related to the offshore industry and the personal experiences of spending so much time being away from family and friends. "I owe a lot of credit to working offshore for helping me self produce this album," Geibel said. Eric has paid his dues in the entertainment, music, writing and acting industries over the years. He played music gigs in Agana, Guam, Marble Hill, GA, and Morgan City, LA. Along the way he worked lights and video for a Boonie Loonies skit production at Nimitz Hill, Guam, performed as an entertainer at “Six Flags over Georgia,” near Atlanta, was an extra in the movie “Under Siege” about a Navy SEAL, filmed in Mobile, AL, in 1992, staring Steven Segal, Tommy Lee Jones and Gary Busey, and has recently played a SWAT team member extra in the new FOX thriller, “K-Ville”, starting in the Fall, currently being filmed in New Orleans, LA. 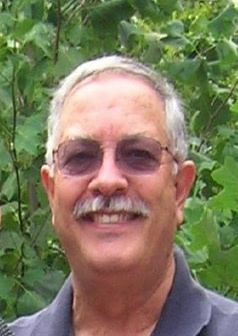 To add to his music writing experience, he has been: a television technician intern for an Alabama TV station; editor of his school newspaper “The Drumbeat” at Faulkner State Community College in Mobile, AL; sports editor of “The Franklin Banner Tribune” newspaper in LA; sports editor, photographer, city editor and interim editor for “The Cherokee Tribune” newspaper in Canton, GA; and, was owner-editor of his own newspaper “The Lakeside Ledger” in Morgan City, LA. He was a member of the Pow Wow Leadership Society at Faulkner State Community College, recipient of a Memorial Scholarship in college, and listed in Who’s Who in American Junior Colleges in 1992. Geibel currently enjoys spending time traveling, writing music, performing and experiencing the thrill of learning new things through the eyes of his son. This relationship can be seen in his song “Always Changing,” about the changes in his son’s life. Song dedicated to the memory of the men and women of the military. 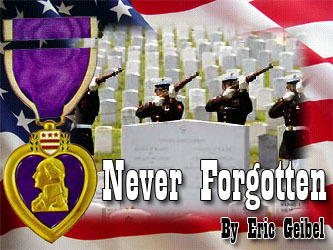 All gave some, Some gave All, Never Forgotten. God Bless them all. 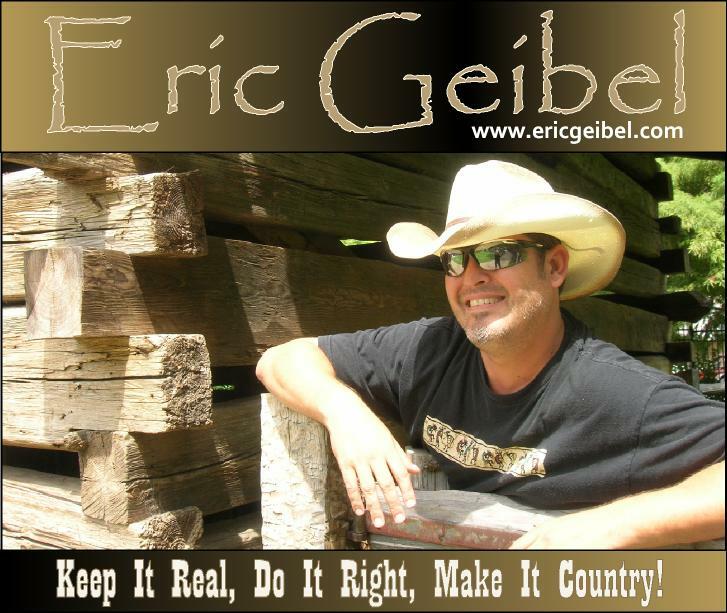 PEAKED AT #1 - Written by Eric Geibel (BMI), Performed by Eric Geibel. Smooth accoustic entro with a solid slow dance feel. 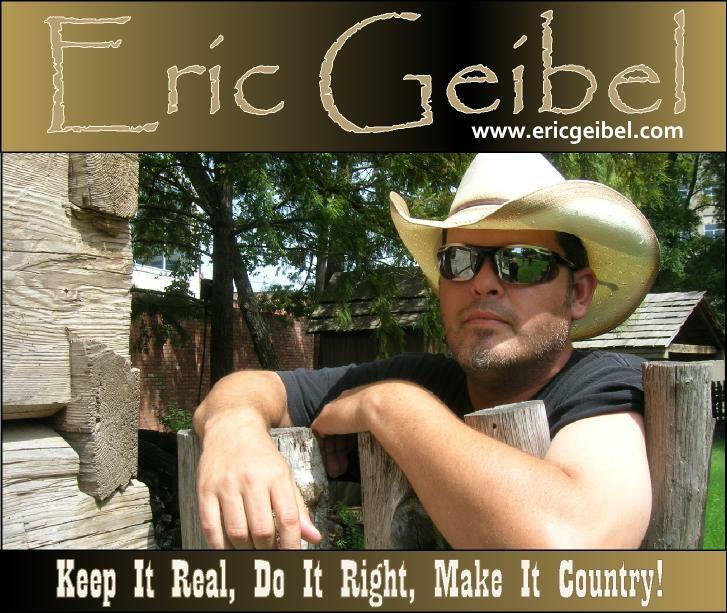 PEAKED AT #1 - Written By Eric Geibel (BMI), Performed By Eric Geibel. The song is a traditionally country tune with a little cajun flavor. Could be done in a more tradional cajun format as well. Every Now And Then is a reflection of the good times we have in life that we would like to do again. Not that we would change a thing, but it is about a moment that is special and Every Now And Then, wouldn't it be great if we could just do it again. A song about to people falling in love. The song is about the feeling you get when you are in love with someone who doesn't always put the same importance on communicating. It leaves you feeling uncertain, insecure and a mess. With a little traditional Cajun feel, Bayou Self is a song about the stubborn life of drinking with Jack, Jim and Jose and winding up "Bayou Self". It is an upbeat, fun song. A song dedicated to the accomplishments of the United States Navy Seabees. Ghost Town is the story of a man who can't get a way from his past. Surrounded by the ghostly images of the past, everywhere he looks, everthing he does has him feeling like he's living in a Ghost Town. Very fine trackswill be adding when stations are working properly!! Glad to see you...gonna give your songs the A-1 treatment too! * Your song 'Always Changing' has just been added to Heartland station! Heartland Station Great tunes Eric! * Your song 'Breaking Hearts In Heaven' has just been added to This Just In station! * Your song 'Always Changing' has just been added to Rays New Songs Station station! * Your song 'Always Changing' has just been added to 24 hours After Eight station! * Your song 'Always Changing' has just been added to Rays Country Picks station! Troy Wykle Hey Eric, Merry Christmas hope it's a great one. Have fun down there in the gulf Brother but watch out for your phone. It was way cool hanging out with you to Brother. * Your song 'Always Changing' has just been added to Larrys Country and Americana Radio station! * Your song 'Breaking Hearts In Heaven' has just been added to Larrys Country and Americana Radio station! * Your song 'Always Changing' has just been added to Nashville Indie Stars station! Troy Wykle Hey Brother cool deal now you get to go up on the top of the charts.. I love it! Now we are going to have to do a duet.... I actually have one that might work for us. Give me a holler brother. Troy Wykle And access to free recording Check out the two new songs on my My Space page the two new songs on there were done at the studio I have for free. * Your song 'Always Changing' has just been added to Keep It Real station! * Your song 'Breaking Hearts In Heaven' has just been added to Keep It Real station! After eight Congratulations! Happy to help! Well done! * Your song 'Breaking Hearts In Heaven' has just been added to Bob Dylan Tribute station! * Your song 'Every Now And Then' has just been added to Keep It Real station! * Your song 'I'm A Mess' has just been added to Keep It Real station! * Your song 'Breaking Hearts In Heaven' has just been added to Ray's Track Of The Day Sep-Dec 2008 station! * Your song 'Ghost Town' has just been added to Raymond Porters New Songs Station station! * Your song 'Trouble Knows I'm Here' has just been added to THE NOBODIES CURSE! station! * Your song 'Trouble Knows I'm Here' has just been added to Low Hanging Fruit station! * Your song 'Trouble Knows I'm Here' has just been added to Keep It Real station! * Your song 'Bayou Self' has just been added to Keep It Real station! * Your song 'Two Souls Joining' has just been added to Keep It Real station! 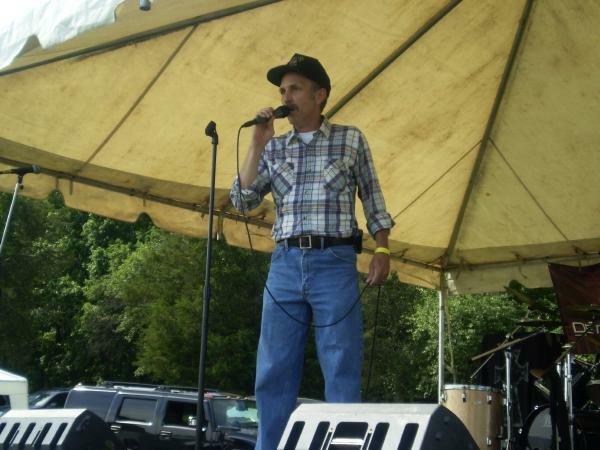 * Your song 'Navy Seabee' has just been added to Keep It Real station! * Your song 'One Night Stands' has just been added to Keep It Real station! * Your song 'Ghost Town' has just been added to Keep It Real station! * Your song 'Trading Places' has just been added to Keep It Real station! 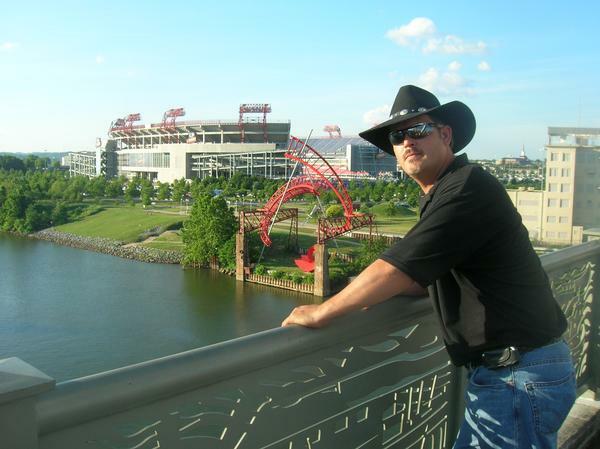 * Your song 'Redneck' has just been added to Keep It Real station! * Your song 'Trouble Knows I'm Here' has just been added to Texas Willies One Night Stand station! * Your song 'One Night Stands' has just been added to Texas Willies One Night Stand station! * Your song 'Bayou Self' has just been added to Texas Willies Favorites On IAC station! * Your song 'Trouble Knows I'm Here' has just been added to IAC BEST COUNTRY station! * Your song 'Every Now And Then' has just been added to highway 66 WITH PIP & merry station! * Your song 'Trouble Knows I'm Here' has just been added to Heartland station! * Your song 'Trouble Knows I'm Here' has just been added to The Good Stuff Country-Ed Bentley station! * Your song 'Two Souls Joining' has just been added to The Good Stuff Country-Ed Bentley station! * Your song 'Trading Places' has just been added to WROK station! * Your song 'Two Souls Joining' has just been added to Don't fence me in station! * Your song 'Trouble Knows I'm Here' has just been added to Big Country station! * Your song 'Breaking Hearts In Heaven' has just been added to Bonanza station! * Your song 'Breaking Hearts In Heaven' has just been added to Midnight Sounds station! * Your song 'Always Changing' has just been added to LEGENDARY MUSIC station! * Your song 'Never Forgotten' has just been added to KczxOnline station! * Your song 'Trouble Knows I'm Here' has just been added to Clayton's Music Corner station! IAC Your song 'Trouble Knows I'm Here' has just been added to Aberdeen Scotland Europe The World station! 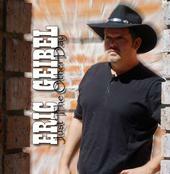 Eric Geibel is up for Artist and Songwriter of the Year through MCTMG Radio/Television out of Nasvhille. Jan. 1, 2008 Nominated by MCTMG Radio/TV for songwriter of the month during December. Dec. 23, 2007 Always Changing climbs to #20 on IAC Country Music Chart. Dec. 19, 2007 Always Changing reaches #25 on IAC Country Music Chart. Dec. 19, 2007 Breaking Hearts In Heaven reaches #30 on IAC Country Music Charts. 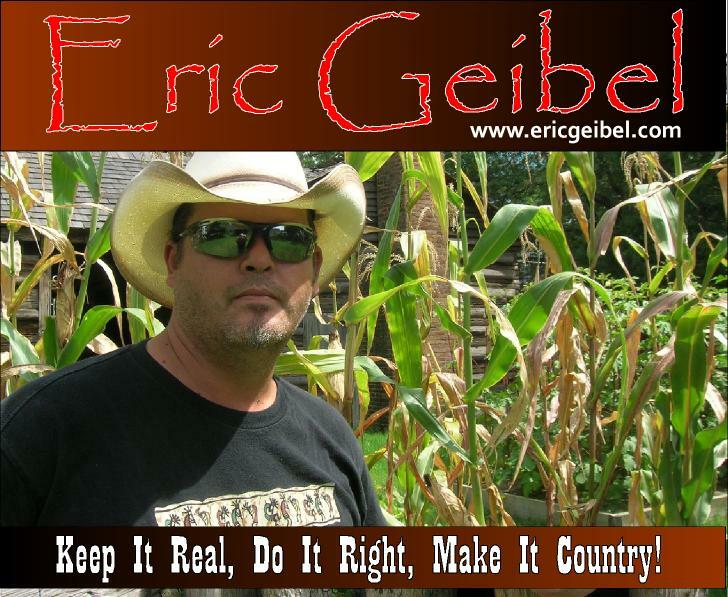 Dec. 8, 2007 Eric Geibel named MCTMG November Artist of the Month. Dec. 1, 2007 Eric Geibel launches debut CD Just The Other Day for sale on MySpace. Dec. 1, 2007 Eric Geibel launches product line in conjuntion with Zazzle and MySpace. Sept. 13, 2007 Eric Geibel performs Navy Seabee live at the NMCB 11 reunion in Gulfport, MS and attends the re-commissioning ceremony in Long Beach, MS.
August 10, 2007 Eric Geibel becomes top 30 Country Indie Artist with the 5th highests Indie Ranking on the IndieCharts. August 8, 2007 Navy Seabee picked up by American Freedom Broadcast and played worldwide to troops and supporters of the armed forces. Heartland This is a quality station, playing quality music. If you get the chance, go listen. This Just In Great new stuff. 24 hours After Eight Smooth and soulful sounds and a wide variety of good music. Bob Dylan Tribute Great set of music attribute to the life and times of Bob Dylan.